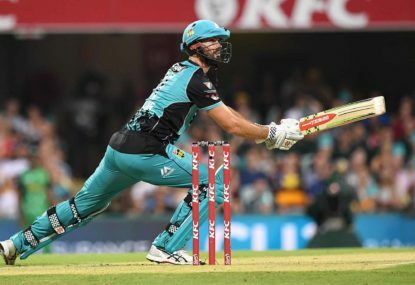 For a side that has mostly underwhelmed in this summer’s Big Bash League, it was simply incredible batting. Cutting and Bryant faced 30 balls each to finish 81* and 71* respectively. It will be a highlight of the Heat’s season, regardless of what happens from here – and regardless of whether they qualify for the finals or not. But as much as last night’s result suggests a passing of the big-hitting baton in Brisbane, an announcement earlier in the week should be the first step in what needs to be a complete overhaul of the way the Heat recruit, and the way they play the game. That he’s looking to get into coaching isn’t overly surprising, and listening to him whenever he’s been miked up in games, it’s very clear he has plenty of offer and in a manner that’s easy to take in the message. 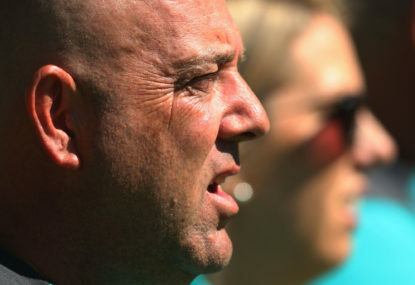 You can imagine that he’ll be in demand as a power hitting coach in the shorter forms of the game almost immediately, and his insights having captained teams for much of his career will be invaluable for young leaders too. Though he was a foundation player for the Brisbane Heat back in the inaugural BBL eight seasons ago, it was somewhat surprising to find the man who sits second only to Chris Gayle in Twenty20 career run-scoring is actually nowhere near the top of the BBL run tally. 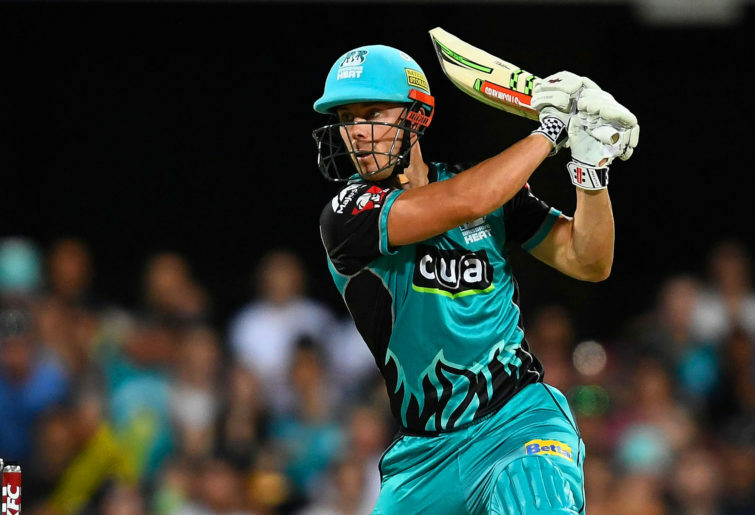 Despite playing all eight BBL seasons to date, his New Zealand commitments in his first few seasons with Brisbane has meant that McCullum has played only half as many games as his Heat teammate Chris Lynn, and fellow retiree this summer, Perth’s Michael Klinger. And whereas Lynn and Klinger have both scored in excess of 1900 BBL runs, McCullum sits nearly thirty places lower, and with a thousand runs fewer. His output in this summer’s BBL is slightly down on average and strike rate from his career mark, but that’s not entirely unexpected for a 37-year-old. McCullum’s 302 runs from 13 innings includes four 50s, but that means the remaining nine innings have produced just 76 runs. He’s always been a feast-or-famine dasher at the top, and it seems this summer it’s been more of the latter at the expense of the former. More bunt than bash, if you will. 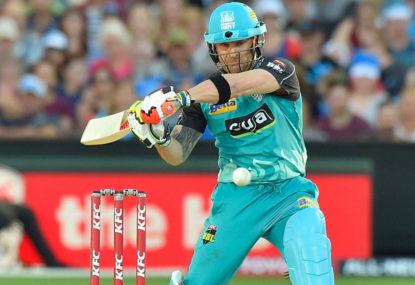 In the eight seasons McCullum has been with the Heat, though, they have only made the semi-finals once since their win in the BBL02 Final over the Scorchers in Perth. They finished second in BBL06 and lost a semi-final in a Super Over, but have been largely disappointing otherwise. So with McCullum deciding his time on the Australian T20 circuit, at least, will come to an end, Brisbane have had a chance presented to them to really address the way the play, and the players they employ and recruit. The whole ‘Bash Brothers’ thing looks great on the hype real and undoubtedly help sell tickets and memberships at the ‘Gabba, but it’s always been a risky proposition, highlighted no better than the Heat’s batting stats this summer. Lynn is in the top five or six BBL run-getters this season, McCullum is twelfth, and both have more than 300 runs for the tournament. Bryant has designs on being included in the bashing brotherhood, but that knock last night was his first fifty of the campaign. Prior to this innings, his 260 runs for zero fifties at a decent strike rate represented a high-risk batsman guilty of blowing a lot of starts. If he had turned even just three of those blown starts into a fifty, then the Heat might well be secure in the semis already. 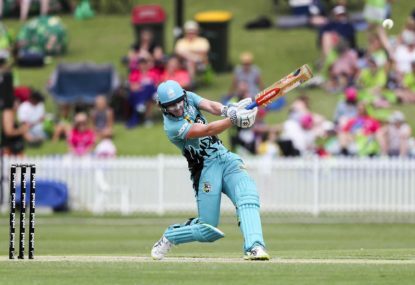 Lynn and McCullum have four BBL fifties each this summer, and even with Cutting and Bryant’s heroics last night, all the remaining Brisbane batsmen have managed only six fifties between them. And teams have worked Brisbane out. You don’t even have to get both Lynn and McCullum early, just one will do. With the collective lack of support from the middle order, the pressure mounting on which ever of the two biff siblings lasts the longest will inevitably force the false stroke. Last night’s fireworks from Cutting and Bryant doesn’t change this. The Heat in the last few years have tried to develop and promote the best of the young Queensland talent, and while this is a noble backing of locals, it’s also a strategy that requires a long game that really doesn’t suit the instant rewards sort from the twenty over game. The kids may well come long in time, but Brisbane could do themselves a massive favour by securing some experience in the marketplace. They once had Dan Christian on their books, and what they wouldn’t give for him again in their middle order this season. 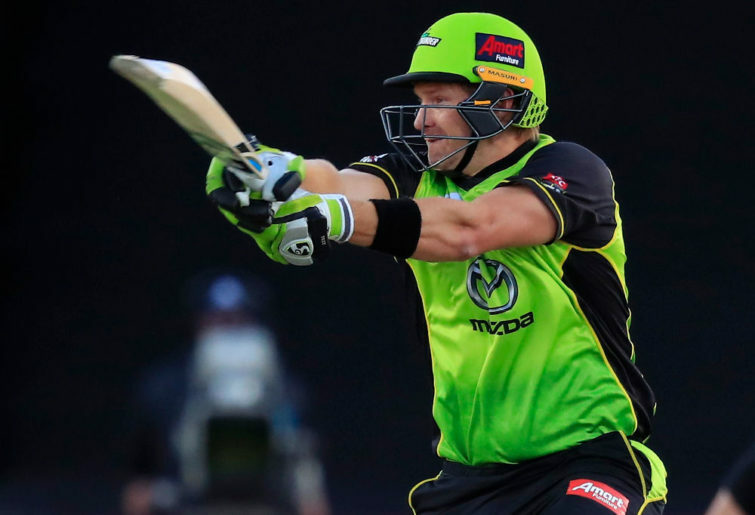 Shane Watson being lured back home to Queensland could have similar benefits. A James Vince or a Colin Ingram-type of international would make a huge difference to the top order. Perhaps movement on the number of internationals allowed by each BBL team will help, as would an increased in the salary cap or removal of international player payments from the salary cap. Wonder if AB de Villiers likes Brisbane? But it’s not just their batting that needs an overhaul. Brisbane in their 14 bowling innings this summer have taken ten wickets just once, and Josh Lalor’s 19 wickets stands out as the lone hand it very obviously is. They desperately need some match-winners with the ball. Brendon McCullum has been a wonderful player for Brisbane over eight seasons, and he’s been great value for the BBL as a tournament. But it’s really time for the Heat to move on from their ageing approach to the game.